Poll: Who created your favourite pairs? We have whittled down ~90 valid submissions to just 12 of the community's favorites. Yay, finalist! Thanks for all those who voted! Good luck to everyone; we had an explosion of interesting cards this week. Oh, I realy thought i made cool concept this week. 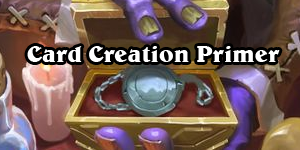 But, he community gave me ten times less up-votes than to two other guys on the first page, so i guess i was wrong xd Also, I'm kinda surprised that there was many contestants this week, looking at the fact that we were pushed to make 2 cards instead of one. Anyway, congratulations to all the finalists! My personal favorites are Spearminty's and N1ckW's cards. After participating in many of these, I am thrilled to have made it into the final vote. Good job everyone who made it and who did not. Rather salty mine didn't crack the top, considering how many upvotes it got. 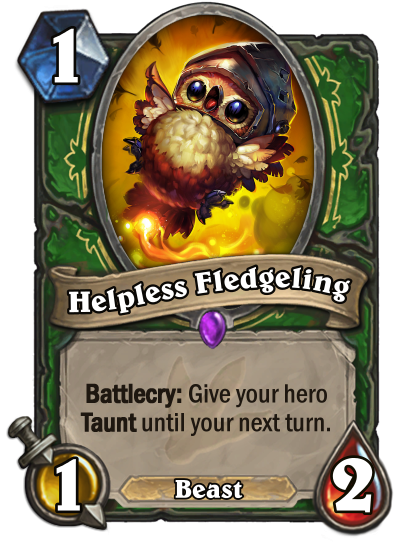 I voted for you because I liked how you used the mage and warlock hero powers to make one set of text a bonus and the other a drawback. I thought that was really clever. Best of luck! I voted for u too. Your design is very clever i think. 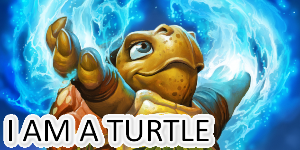 Everyvone make ,,your hero power deals * damage" for mage and hunter. 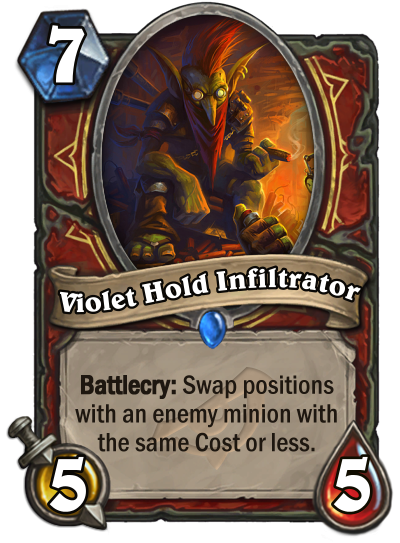 Its very good to add warlock! I love the Romeo and Juliet cards. 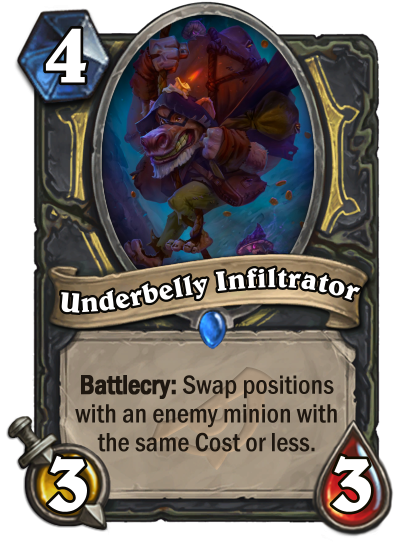 Smart to put them in Rogue and Priest, the "thief" classes of HS. I'm going to try something different and give my personal review of the finalist cards this week. I haven't done this before so sorry if I am too harsh or too soft on some cards. Overall I am positively surprised how different designs people managed to create this week! I think this is quite a neat design although in a real game this would never work. But let's imagine a shenanigan in which they exist. 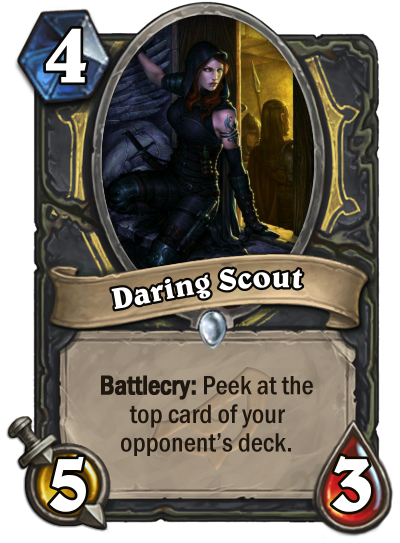 Basically, to pull this out, the rogue needs to be facing a priest. 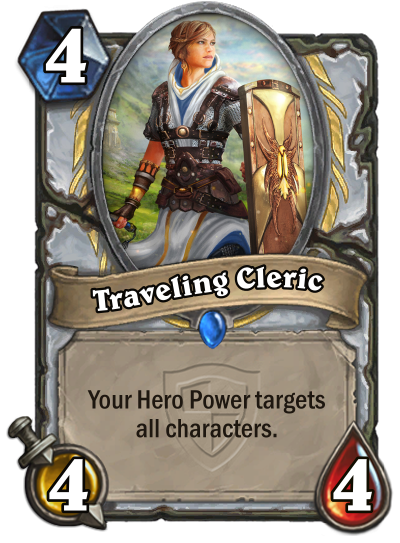 But if a priest faces a rogue running Romeo in their deck, they will be able to pull this combo off. So, there is a nice “if the opponent tries to pull this off, I can pull this off” shenanigan. 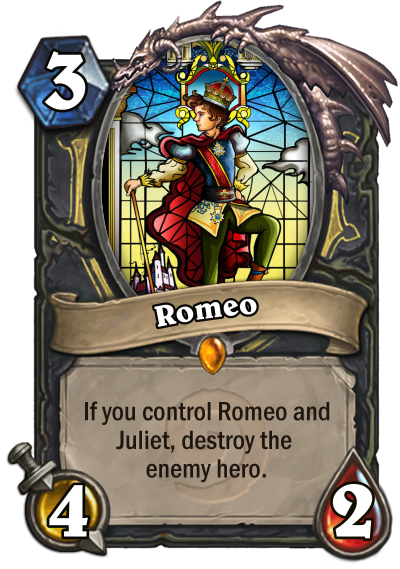 However, it would more balance the effects and create a cool reference to the original story if both effects were Deathrattles such as “If both Romeo and Juliet died this turn, destroy the enemy hero”. 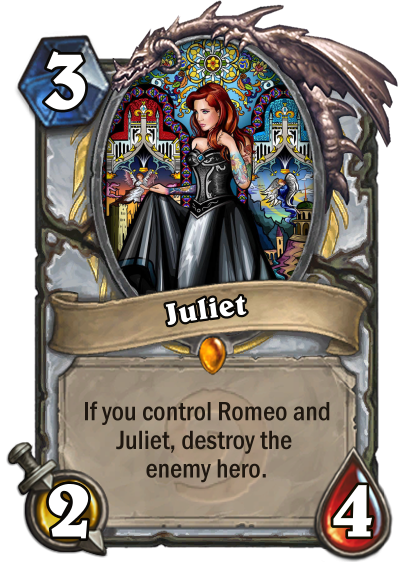 Last note; Romulo and Julianne are the Warcraft allusions of Romeo and Juliet. Using those names had tied them better to Warcraft. 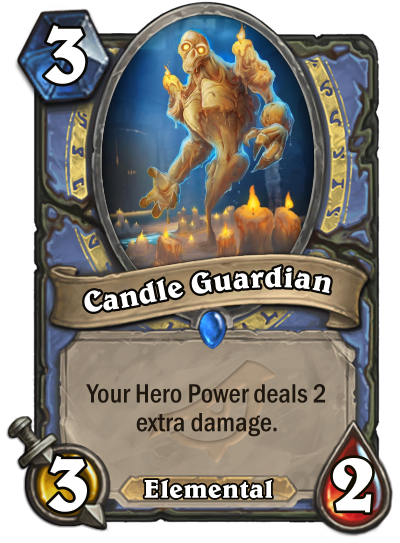 I like this design and it’s well balanced. However, the idea itself is not too exciting. 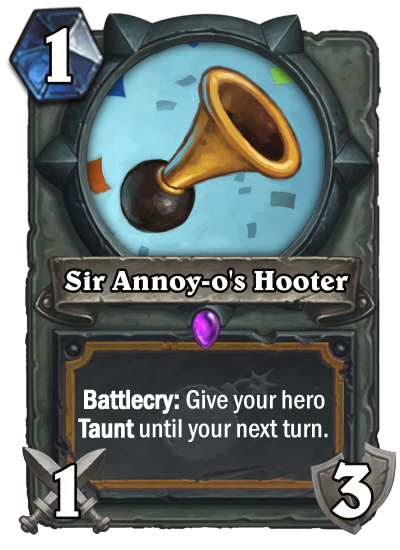 I think this is one of those obvious card designs someone was guaranteed to make. I'm glad it made it to the finals though! I like how differently this idea plays between 2 completely different classes. 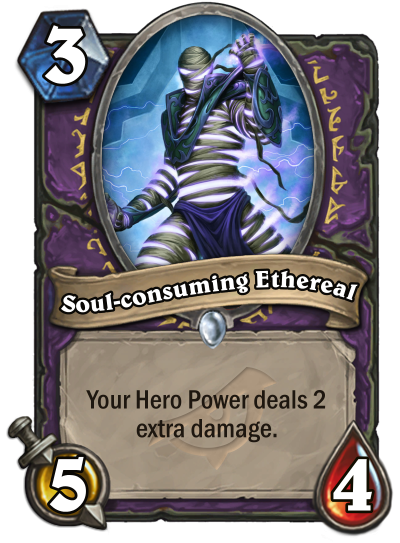 For a warlock, the effect protects from taking damage from you own hero power and other damaging cards while the paladin is protected when attacking a minion. Very clever! 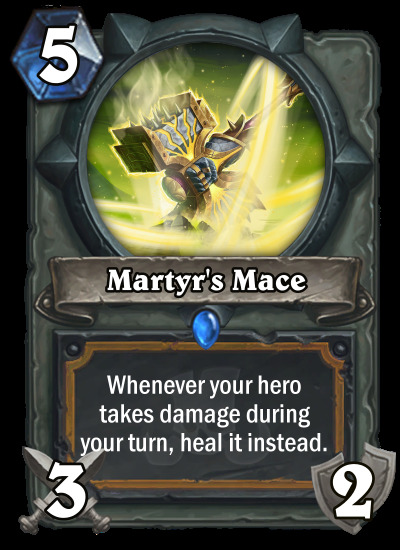 However, the wording could have been tweaked from “heal it instead” to “restore that much Health instead” as with currently existing cards. I really like the flavour of this one. 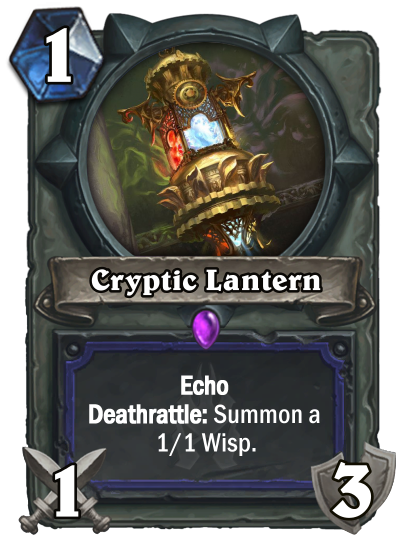 As a Shaman you keep breaking lanterns to release the wisps inside while rogue summons the spirits from dying minions. Balance wise it works as well. Neat! 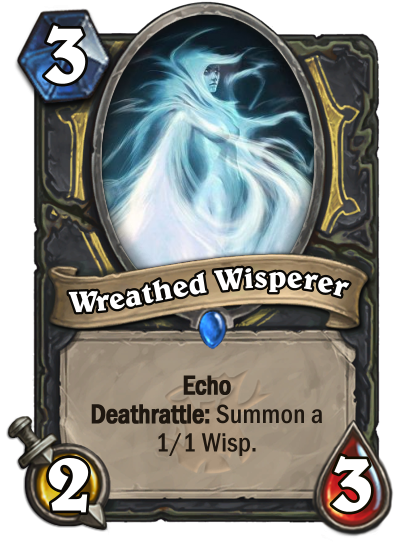 This is another card where the design is nice and well balanced, but someone was guaranteed to eventually make this design. It's still a simple but nice design! Balance wise this looks ok. However, the idea and the difference between class identities don’t really stand out with this one. I like the flavour in this one! 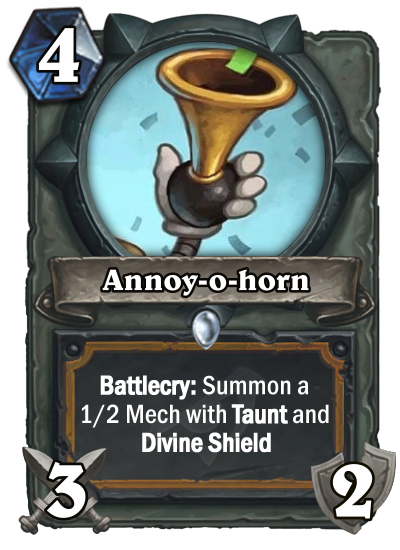 The card names fit the card mechanic well too. 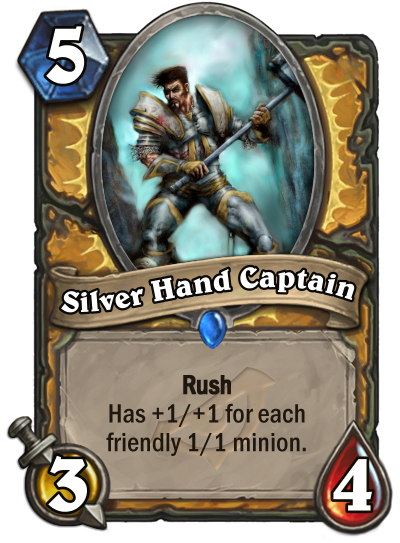 However, since it’s not the battlecry, gaining +1 health whenever a 1/1 minion is summoned could cause some balancing problems especially with the Silver Hand Captain and I would have increased the mana cost by 1. 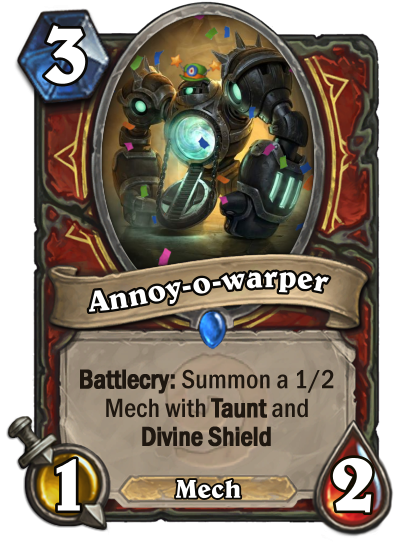 This is my favourite card of the week! 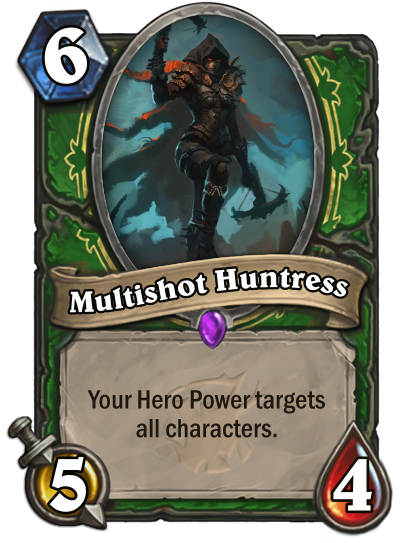 I love how differently this effect fits 2 completely different classes and how it’s perfectly tied with the cards. This one got my vote. 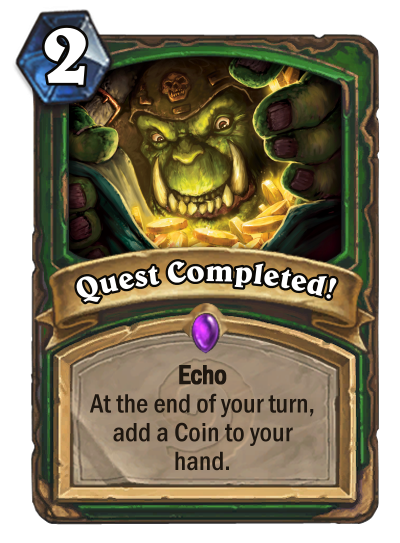 It’s smart that the coins are added to the hand at the end of the turn, preventing potentially infinite loops with Quest Completed! 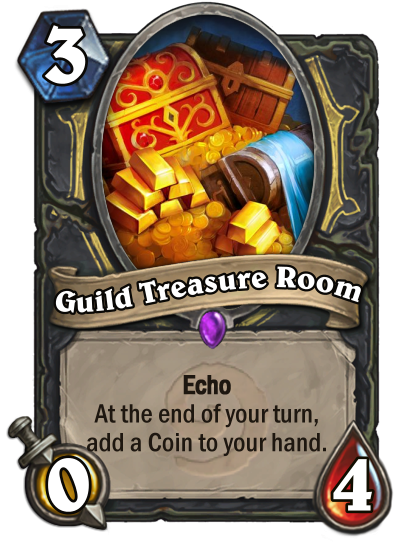 I am not too sure how Echo fits to the Guild Treasure Room but the flavour of it is neat and the card itself is well balanced! 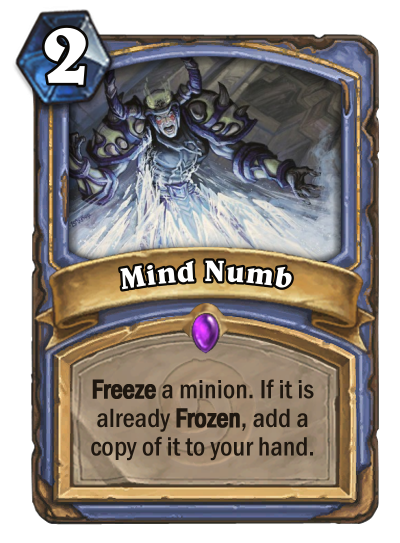 I think the flavor and the artwork work well with both these cards. 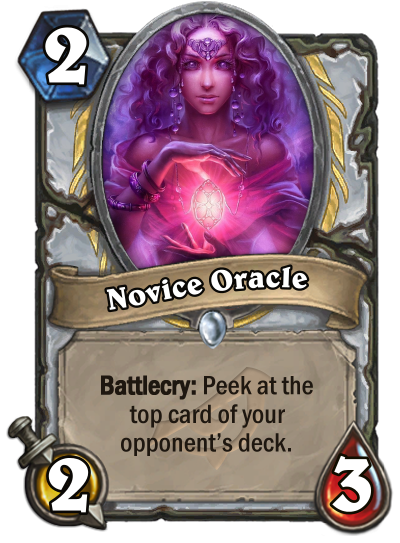 Priest’s oracle can vision the card while rogue’s scout will spy it. Neat! 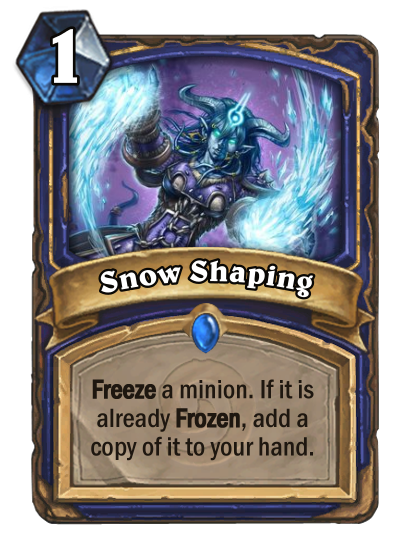 i liked the idea this week but man was it hard to come up with an interesting, unique effect that would work for 2 classes. Thanks man! Appreciate the feedback! As for the other finalists I really liked linkblade91 and whatTheHeck. Both utilized some interesting effects and classes. Thanks for the support and feedback! 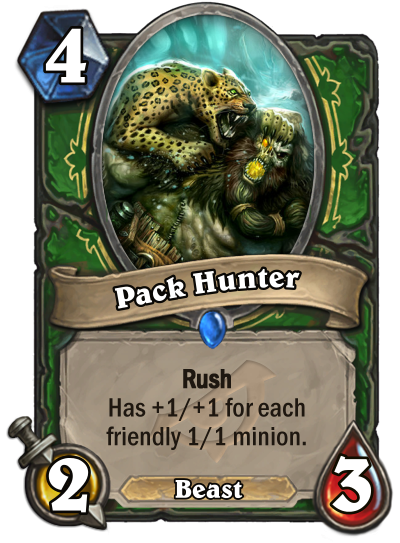 Liked some of the other cards like CaptainDG's ones because 1/1 sinergies is something not seen often (not sure if hunter have too few 1/1s for this to work, however) and Spearminty's because of being able to combine echo and coins in a single card and still manage to balance them! Congratulations to biggerbossman. 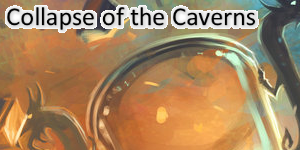 The new theme is ready.